Please fill out our contact form to find out if we can provide the service you require or if you would like to arrange a quote. “Interior design” is a rather grand term for what is often elementary advice. Advice that handyman-france.com can offer. French houses, particularly the older ones, deserve to be as pretty as possible. Stone walls, fireplaces, oak beams, windows, floors and ceilings can all be enhanced to make small rooms look bigger, and large rooms appear huge. Colour schemes are vital. A flowing theme from room to room so that the whole house is in accord with itself can work wonders, not only for comfort but also for property values. Much of the work needed is often inexpensive. But what is needed? We at handyman-france.com can help. Inexpensive consultancy fees (available on request) can bring a substantial return. handyman-france.com can also carry out some work, or arrange local artisans if needed. Due to complex and highly unusual legal problems, this two year-old house - which must be rented as a maison de vacance (holiday home or gîte) - needed a great deal of work done before it could meet its' obligations. It had been used as a residential home for two years without the owners' consent or even knowledge initially, and though not trashed as such it was not in a fit state to be rented. The owners live a thousand miles away - the logistics for them meant that they simply could not do much for themselves. They called SARL Handyman France. The brief was simple. Get it up together. The client gave us a free hand, saying just that the red sofa and pouffes had to stay; yellow was the preferred colour for the three bedrooms; costs had to be reasonable. Some of the works needed were sub-contracted to the relevant tradesmen - i.e., electrician, builder, double glazing specialist and plumber. Despite the house being just two years old, several days work was needed on the electrical system alone (this is an indictment of this particular developer rather than all French workmen). All work was organised and coordinated by SARL Handyman France. For the décor, the idea was to have the colour theme following on as you move around the house. Red and yellow may not be obvious colours to use together, but they are the Catalan colours seen everywhere in south-west France. Throws for the sofas were needed, and by using a matching pair that had the colours reversed the red sofa had some colour removed which was then added to the black sofa. The effect is that much of the black is removed without adding too much to the overall amount of red. Because the house is the usual open plan design (kitchen, lounge and dining room all open to each other) the colour scheme needs to follow through. Also, as the kitchen is immediately visible when entering through the front door, here was an opportunity to introduce a burst of colour. 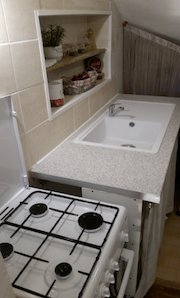 The tiling in the kitchen was the only part of the project to go over-budget. It was seen as being well worth the additional cost. The cushion covers were hand made by SARL Handyman France. Chosen with care, the material matches the red colour scheme without adding to it very much, whilst the stone colours blend into the cream of the throws. The downstairs walls are painted stone colour which, as well as matching the kitchen units perfectly, remains neutral to blend into whatever future colours may be introduced. By using only yellow curtains at the rear, to match the yellow at the front, the dining rooms moves slightly away from red and begins the second predominant colour for the bedrooms. 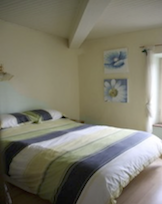 Particularly in a holiday home where the publicity photos are all-important to secure bookings, the bedrooms need to accurately reflect the level of comfort offered. 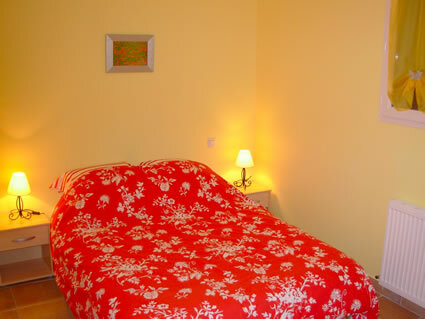 The pale yellow walls provide a calming effect, lending a summery feel and yet cosy for the winter months. 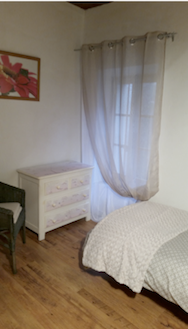 All the bedding was chosen and supplied by SARL Handyman France to provide an eye-catching image to encourage potential guests to want to stay at this house. An often overlooked detail is that holiday homes are subject to being cleaned throughout not just in one day, but to a tight time schedule. It is important therefore that all laundry can be done together as far as is possible. SARL Handyman France offers this service to gîte owners, along with pool management and more general property management services. 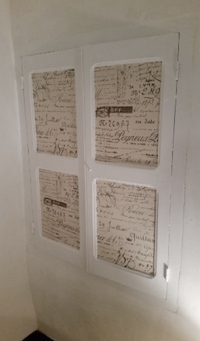 SARL Handyman France is indebted to Michael & Eileen Clair in Ireland for their permission in using this material. 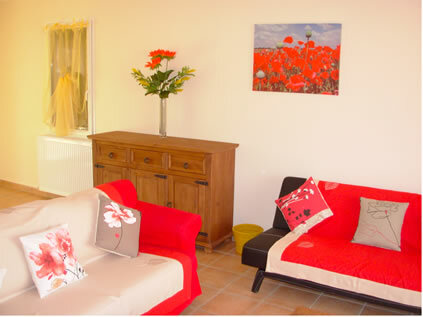 The property, which is in Trébes near Carcassonne, is available to rent at any time of year. Please contact us if you are interested is renting this property and we will put you in direct contact with the owners. 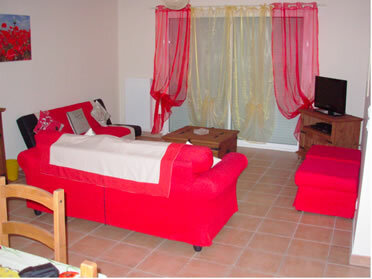 A small, two bedroom house in a small, one-horse village near Carcassonne. Very different to the preceding exercise in interior design. A more conservative style was needed. 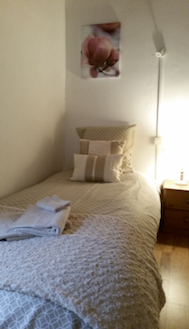 The new owner wanted to achieve a cosy atmosphere for paying guests to enjoy. The previous owners had, to say the least, allowed some deterioration and standards generally were basic. The décor in particular was not something anyone would pay to experience. 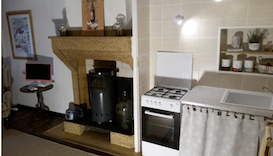 The owner contacted SARL Handyman France enquiring about what we could do after the builder, electrician and plumber had finished the more major elements of the renovation. After a few phone calls and emails we had the measure of the project. 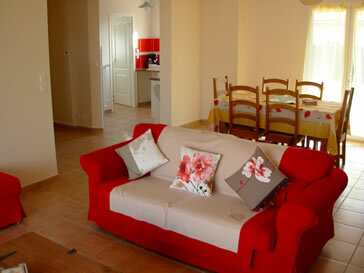 With the kitchen area completed, and linen in place, the house was almost ready to be marketed as a holiday rental. 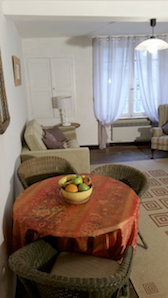 The cushion covers for the bedrooms were handmade by SARL Handyman France; bedding, towels and curtains were sourced locally; the kitchen shelf items, at a cost of just a few Euros, we considered to be just as essential as the bedding etc to enhance the cosiness that the owner specified. Obtaining suitable bedding and curtains in terms of style and quality, is something of a challenge in the Carcassonne area with no large department stores. 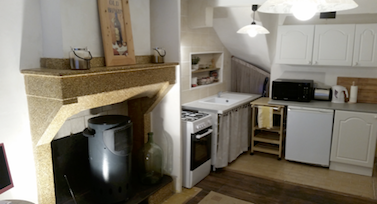 It can be done, and SARL Handyman France is adept at knowing where to look and how much to pay. So far it perhaps sounds quite straightforward. Equipping a house for rentals is, however, a task that needs a great deal of thought and planning. Everything must be obtained. Everything. Right down to pots and pans; cooker; place mats; corkscrew; tea-towels; coat hangers... Everything that you bought over a period of years for your own home needs to be obtained in a few weeks for a project of this type. Tea and coffee jars; cheese grater; hair drier; table cloths; vacuum cleaner; clothes airer. The list is very, very long. It's not just the fabric of the house that needs attention. An internet connection is fairly vital. Satellite TV. The correct tariff with EdF, or whichever electricity supplier you choose, to keep costs down without suffering power cuts when appliances are switched on. Furniture needs to be in keeping with the general ambiance of the property, and modern mass-produced normally is quite bland. 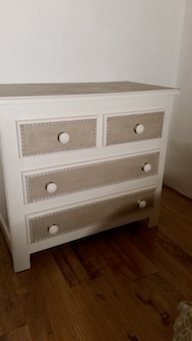 A pine chest of drawers, quite old and showing signs of age, can be rejuvenated. 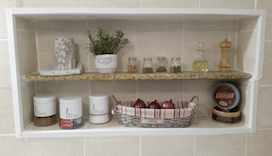 A simple cupboard can be turned into a feature with a little thought and know-how. When you live a thousand miles away (or more – we have clients world wide, including Australia), it is virtually impossible to do all of this yourself. 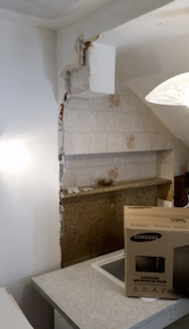 SARL Handyman France can help, whether with smaller projects like this, or much larger properties. We listen to what you want. 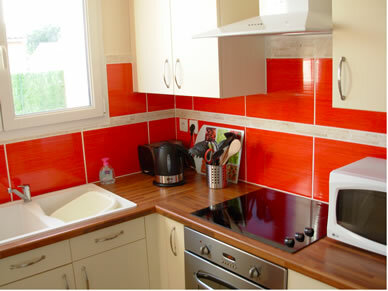 We can take the initiative with colour schemes etc., or follow detailed instructions. We adhere to your budget and timetable. After all is said and done, it is your house and your money. Whilst we do not under any circumstances accept or administer bookings, if you are interested in renting this property for a holiday we will happily pass your enquiry to the owner who is resident in England. Copyright © MMVII - MMXIX SARL Handyman France, All Rights Reserved. Terms & Conditions.